Edinburgh, it has to be one of my favourite cities, and probably the one that I have visited the most. I keep getting drawn back. Yes, you may not get the weather, but there’s so much to this impressive city (and many of the main attractions are actually free). The capital of Scotland sits perched on extinct volcanoes and rocky crags, which rise from the Lothians. The city isn’t massive and easy enough to walk around. It’s easy to navigate, if you get lost just find the castle in the sky line and head towards it. 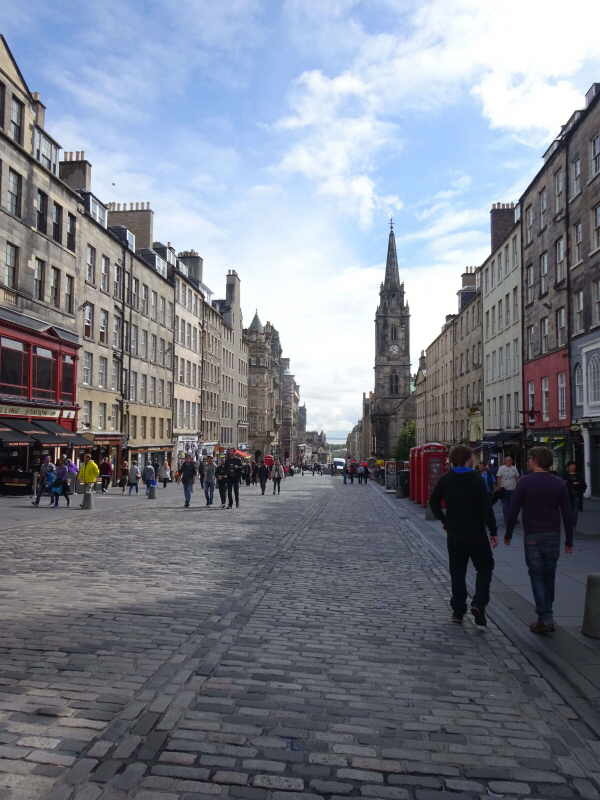 Edinburgh is split into the Old Town and New Town, and there is a distinct difference between the two. The Old Town includes the Royal Mile and the Grassmarket, built up on the hill which the castle dominates. Here you can find the general tourist shops among historic buildings and beautiful churches, with a distinct medieval feel. The New Town is a complete contrast, with a symmetrical layout and straight, broad streets. Here lies the city’s commercial, business and retail hub. 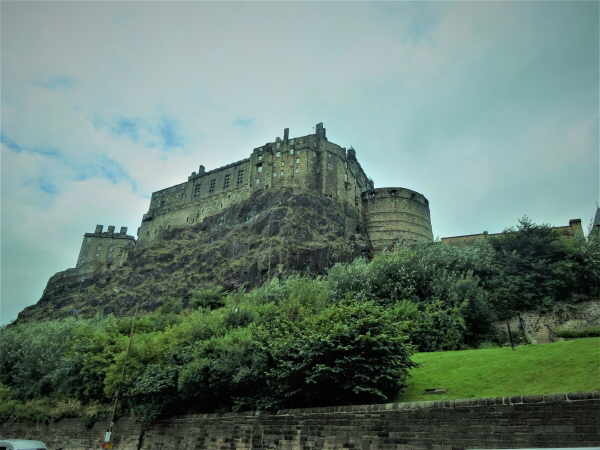 Obviously, Edinburgh Castle is a must-see. Make sure you get there early to avoid the queues (or book ahead) and make sure you have plenty of time. The castle is a collection of museums really, with the National War Museum of Scotland and a Military Prison. Other highlights are the Dog Cemetery, St Margaret’s Chapel and the Stone of Destiny. The Scotch Whisky Experience may be a little cheesy compared to actual distillery tours, with a ride in ‘barrel’ car to start, but actually gives a good introduction to Uisge beatha (the water of life). If you’re only visiting Edinburgh and not able to visit a distillery, it’s definitely one to do. With the world’s largest whisky collection and a lesson in nosing and tasting, you get the basics. Music in Edinburgh is never hard to find. Many local musicians draw a crowd of tourists and locals alike. From one man with a guitar to full bands, find a pub with Scottish music and you’ll be compelled to stay to the end. 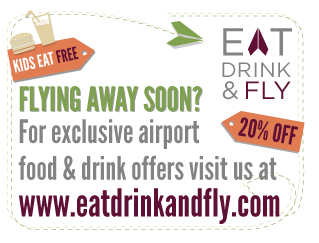 If you can make your stay coincide with the Edinburgh Festival then you’re in for a treat! Comedy, music and books, plus street entertainers galore. It’s the highlight of the year for Edinburgh. There’s plenty of free stuff to do in Edinburgh. 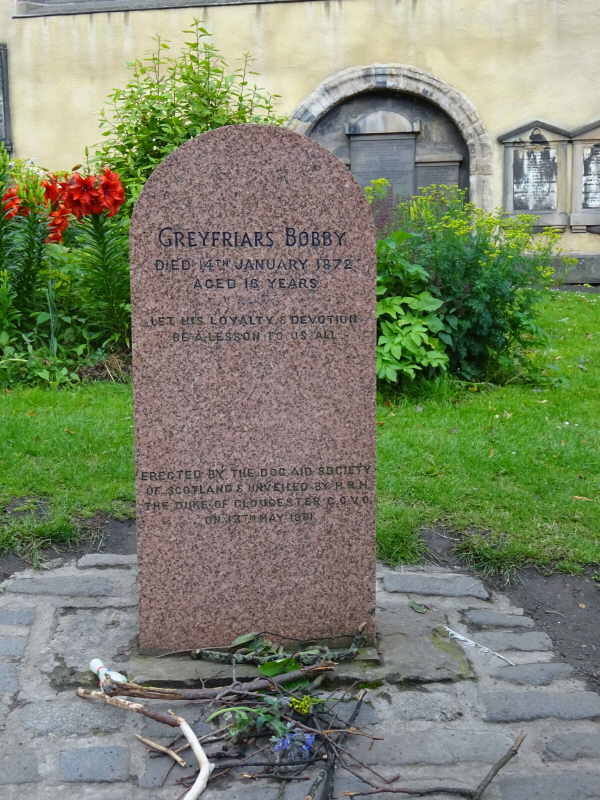 Head to Greyfriars Kirkyard to find the grave of Bobby, the loyal dog who refused to leave his master’s side after he died. Bobby stayed at his master’s graveside until he himself also died. Bobby is the only non-Christian to be buried here. For the Harry Potter fans, this is where J.K. Rowling got ideas for many of her character’s names, you can even find Voldemort’s grave. The National Museum of Scotland is a massive free attraction. 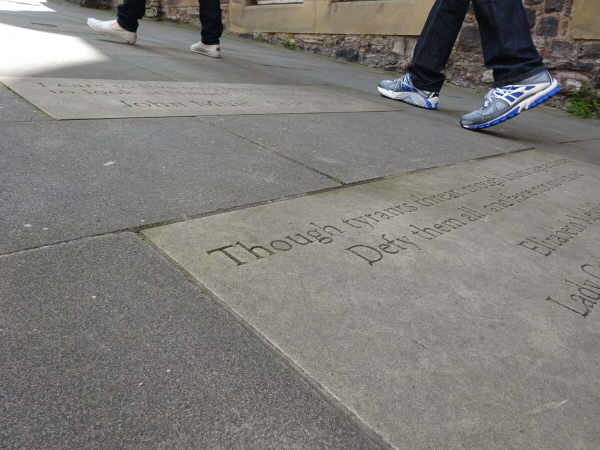 From science to the history of Scotland, there are floors and floors of history. It’s a bit of a maze, I’ve got lost in here more than once. But as a rainy day activity, it never gets old! For a view of the city climb Arthur’s Seat, on a clear day the view can stretch to the English borders. 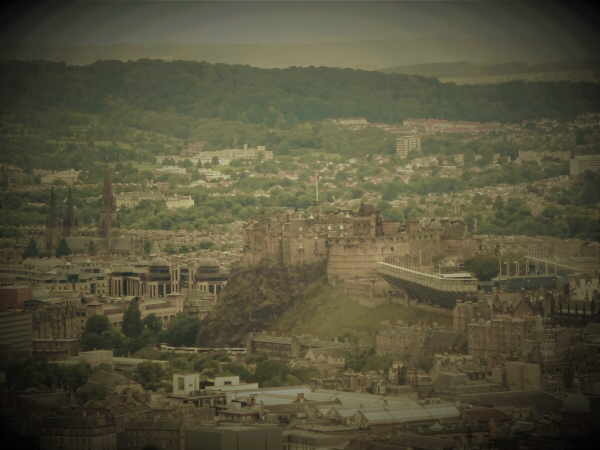 Alternatively, head to Calton Hill for a view of Edinburgh Castle and Arthur’s Seat. It’s a much shorter climb too! St Giles Kirk has some interesting items. There is a stool that was supposedly thrown at a minister by Jenny Geddes, in objection to the first use of a Anglican prayer book. This church also houses a bagpiping angel – one of only three in Scotland. The Writers Museum is dedicated to the country’s three literacy legends. The courtyard is what I find most interesting, being covered in quotes. I love Scottish food. And it’s not all haggis and deep fried mars bars (though these are good too). Think seafood, game dishes and oats. I always try to visit at least one of the following places for a meal when in Edinburgh. The Dogs is great for no-nonsense, simple food. Made with Scottish ingredients it’s good, honest food. At the Mussel Inn, you get what it says. Lots of mussels. And good mussels at that. You choose either half a kilo or a kilo and the sauce you want them cooked in. Scottish seafood is wonderful. For traditional pub grub, it’s got to be the Royal Mile Tavern. With the Scottish classic such as Haggis, neeps ‘n’ tatties, Highland chicken and, of course, deep fried mars bars, you can’t go wrong. If you want to splash out, head to Wedgewood. Make a night of it with a tasting menu, where you get to sample several dishes with wine. The menu is seasonal, changing with what ingredients are available.